See attached the report "Influence of LEED on Water Consumption & Cost: Business Instructional Facility vs. Undergraduate Library" as submitted by Lucia Dunderman, Dustin Frye and Olivia Yu for their project in ENVS301. See attached resilience report from the American Institute of Architects. This project is intended to permanently set up styrofoam (expanded polystyrene, or EPS) recycling on the UIUC campus for the first time. This project aims to emulate a very successful program at the University of Wisconsin at Madison; some funding has already been secured for student support and supplies from UW as part of an EPA grant that students and postdocs there have received. The key difference between UIUC and UW is that UW had the benefit of a local styrofoam recycler, and UIUC does not have that benefit: the closest recycler is in Indianapolis and the cost of transporting undensified EPS is too high for this to be viable. This project will establish a partnership with Community Resource, Inc. in Urbana, who have agreed to handle all of the logistics of picking up styrofoam from large containers (“gaylords”) in campus buildings, transporting it to their site, feeding it into a machine called a “densifier”, and selling the densified material to a company in Chicago. Community Resource, Inc. will in return pay back a portion of the proceeds from the sales in order to support student interns on campus who will promote and support the program. The goal of this project is to establish a self-supporting program that will ultimately capture most of the styrofoam waste from our campus and recycle it, while supporting student interns to oversee and continually improve the program. Energy conservation continues to be an important initiative in support of the Campus Strategic Plan as well as a critical component for meeting our sustainability commitments in concert with the Illinois Climate Action Plan (ICAP). To give you some scale about our overall energy use, it’s the annual equivalent energy use of over 52,000 homes and that doesn’t include Petascale. Our conservation programs have been very successful for the campus to date with a 24% Energy Use Intensity Reduction since 2008. Our success has been a campus wide effort through user based conservation efforts and centralized programs like retrocommissioning, lighting retrofits, and Energy Performance Contracting which all require a partnership between F&S and campus units. An initiative that we started last year to reward conservation at the facility level is the Energy Conservation Incentive Program (ECIP). We’ll be announcing the FY14 ECIP winners this Wednesday during the Sustainability Forum at the Illini Union. In order to keep you informed about conservation efforts at the unit level, we’ve developed the attached Campus Energy Report. It provides data and trends about your overall energy use for the last four years. It essentially breaks down the 24% number I referenced above by unit. We’re providing this as one more tool to help you communicate with your organization about the results you’re achieving and to support new and ongoing conservation initiatives. If you or your staff has questions about how this information was developed, details at the facility level, or best practices from other units, you can contact our Energy Services Business Office at (217) 245-4676. The new Electrical and Computer Engineering building (New ECE building) will be operational starting the fall semester of 2014, and will be a unique green building on the University of Illinois campus. It is designed to be the most energy efficient engineering building in the world and is targeting LEED platinum certification, the highest rating for efficiency. With the full planned solar energy complement, the building is projected to achieve net zero energy status. The facility will be one of the two largest net-zero energy buildings in the United States. It will be a facility that supports all its own energy needs – on average over each year – leaving no carbon or fossil consumption footprint. Although the ECE building design itself is intended to achieve LEED Platinum certification, the energy objectives go far beyond this rating to true energy sustainability. The Campus Community Garden (CCG) will be designed by students, built, and planted on the grounds of the University of Illinois Turf Farm. The CCG will look and feel like a typical allotment-style community garden, but the management of the garden will be focused on undergraduate learning opportunities. To this end, half of the individual garden plots (24 raised beds) will be made available to students for independent gardening activities and experimentation. The other 24 raised bed garden plots will be used for teaching, demonstration, and outreach on urban agriculture, and they will also serve as important examples of successful production methods for student gardeners. 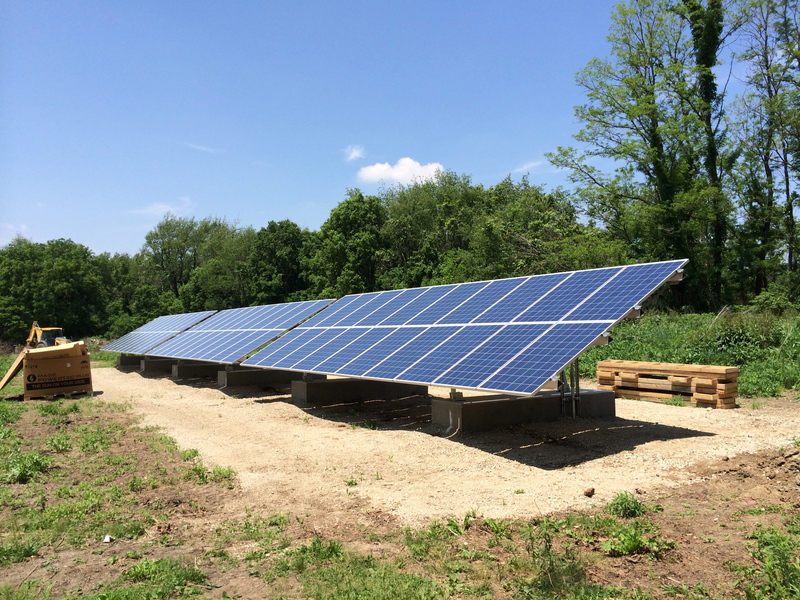 Allerton Park already has a solar array located near its Visitors’ Center. 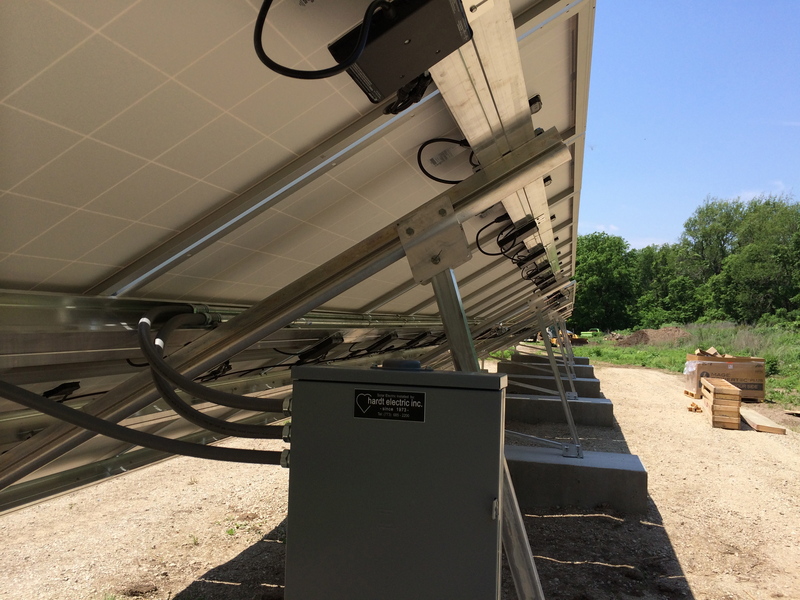 The second phase of the Allerton Park Solar Array project involves working with a Learning In Community (LINC) class to construct a second ground-mounted solar recharge array. This second phase builds on the success of the existing array with the adjacent construction of an additional 60 panels. The design of the Phase 2 array utilizes an innovative floating foundation system that allows for portability of the array if necessary. The total array provides 14.7kW of peak power, which translates to a projected annual output of 14,653 kWh(about 15-20% of total apCAP solar goals). 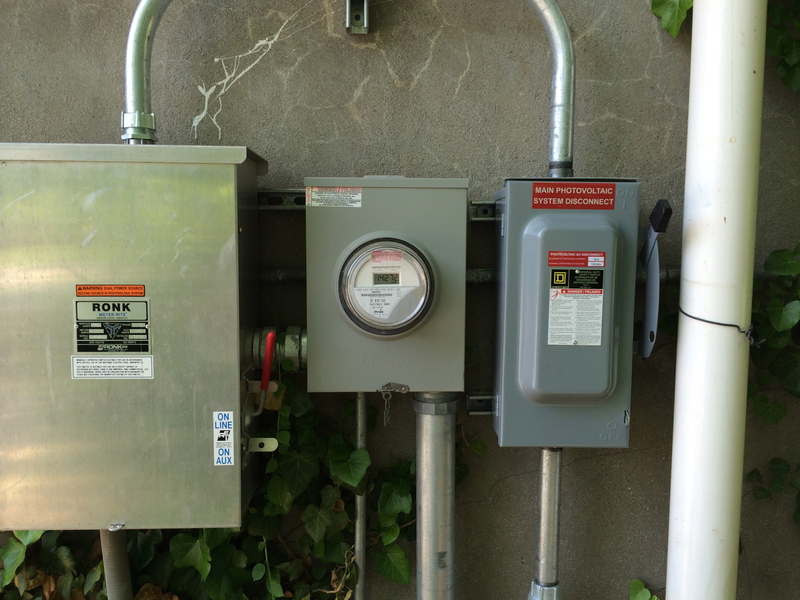 Power at the panel and array level can be monitored remotely and be publicly viewable via an online dashboard which displays the impact of the solar power contribution in terms of energy equivalents: gallons of gasoline, light bills, tons of coal, barrels of crude oil, and planted trees. Allerton Park is a valuable but underutilized property owned by the University of Illinois. The Allerton Park Bike Share project intends to improve Allerton Park and make it more attractive to the campus population and the community at large through the installation of a bike share system. In addition to providing an attractive service for visitors, this project will also help promote green transportation when traveling around the 1,517 acre estate.